Music Festival season is upon us! Make sure to get into the studio to get ready for your favorite bands. With themes like Tove Lo vs Foster the People, and Jay-Z vs Martin Garrix, you’ll be prepared for the hits and hidden gems of the festival’s performers. 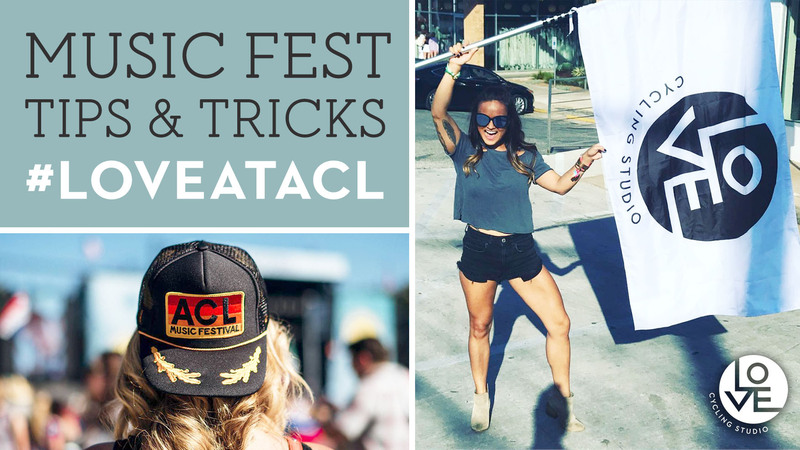 Included are some pro-tips for your festival weekend to be the best one yet. Are you feeling the LOVE? Look past the workout and towards the perks! Learn more about our community discounts, newest class times to fit a busy schedule and so much more. Do you love belting out your favorite tunes and supporting a good cause? Of course you do! Join us for a karaoke ride benefiting GirlForward, a community dedicated to creating and enhancing opportunities for girls who have been displaced by conflict and persecution. Want to get the most out of your LOVE class? Check out our tips and tricks blog for mastering your form on the bike and understanding the lingo used during class. We are very excited to bring you the LOVE Cycling Studio Bucket List Challenge! Focusing on a mix of LOVE fitness goals, local love, and some good ol' summer fun - we want YOU to focus on all things you LOVE and we want to show you some love right back. Welcome to our second edition of Local LOVE featuring some of our favorite eats and drinks in and around Austin. Yum! Mother's Day is just around the corner and LOVE Cycling Studio has partnered with some fabulous brands to provide the moms in your life all they'll need for a perfect day. Here are the details! Are you known to be positive, enthusiastic, dynamic, and energetic? Do you have rhythm and LOVE to lead groups in rhythmic classes? Do you have experience teaching cycling and/or group fitness? Well that is just a plus. LOVE is hiring indoor cycling instructors! Owner and Founder, Stephanie Kincheloe shares how her dream to start LOVE Cycling Studio started when she unexpectedly fainted after a class. Her fainting started a series of events that helped her and the rest of us find a home in LOVE. Andra Liemandt & Jenny Mason have grown their friendship and passion for positivity for women and children into a musical phenomenon known as The Mrs. With songs titled "Enough", the Mirror Project and a Kindness Campaign, there is no limit to the LOVE and light the pair radiates into our community. Lisa Parrish has worked in every segment of the apparel industry. With a passion and a drive to make a difference for women and young girls, Lisa started her own line with her best friend which they called MoLi. Now she selects and shapes all of our apparel offerings creating the look of LOVE. We appreciate your loyalty to LOVE Cycling Studio! For that reason, we created a program that will benefit you! 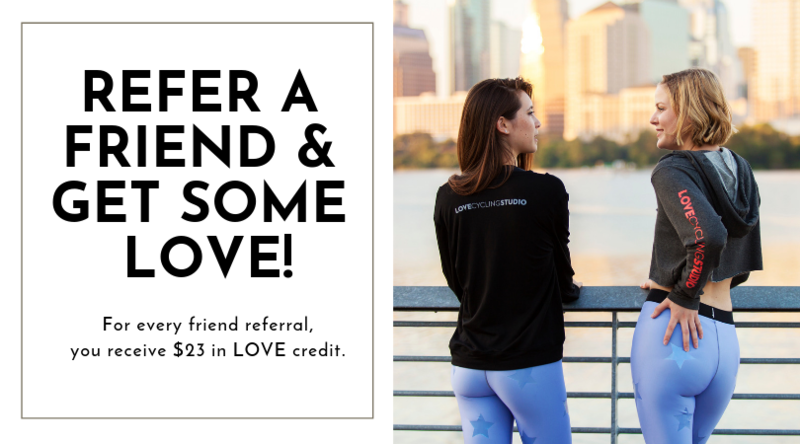 For every friend that you refer, you will receive $23 in LOVE credit added to your account. And, you can use the credit for anything we offer! We are hiring part time staff to join our our amazing Front Desk Staff!